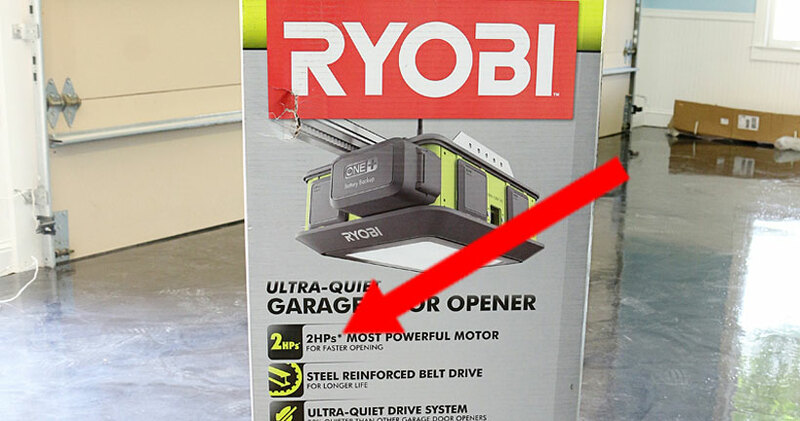 Doors Done Right – Garage Doors and Openers – Chamberlain, Genie and Ryobi all use MISLEADING HORSEPOWER SPECIFICATIONS. 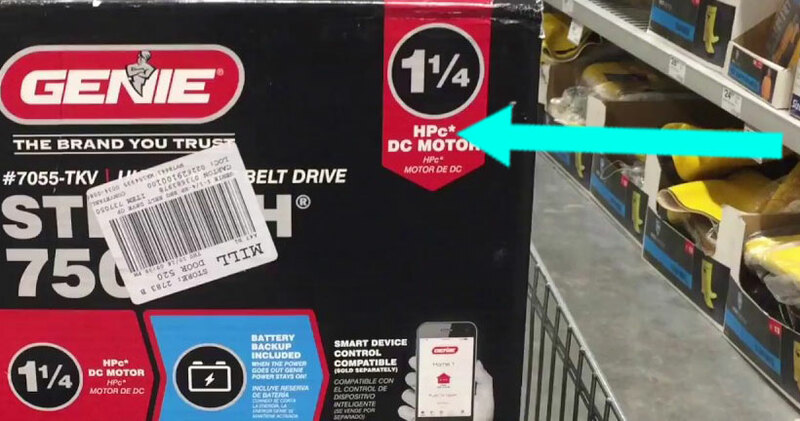 That is not a 3/4 HP, 1-1/4 HP, or 2 HP motor that you are getting from these brands. 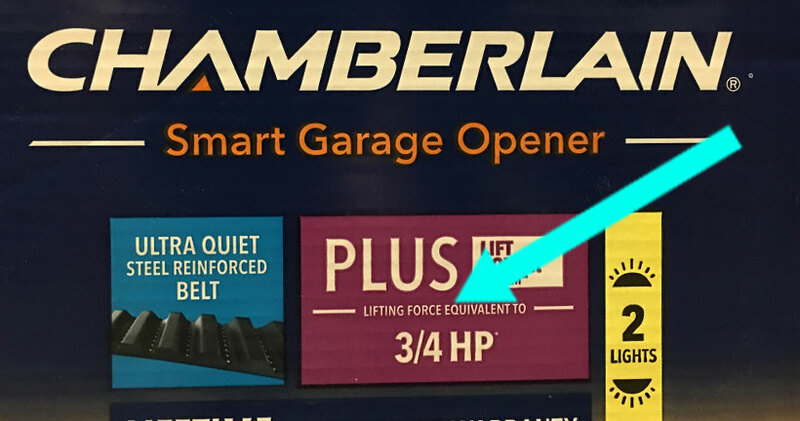 We are not sure what actual horsepower motor you are getting with this unit, but if they use smaller, cheaper gears, they can probably get this up to a 20HPs* specification. 2 HPs* Does Not Mean You Are Getting a 2 Horsepower motor! Yes, smaller gears mean more torque, but, unfortunately, also less speed! Some of these openers move super, frustratingly slow, with motors that are not as powerful as you are led to believe. 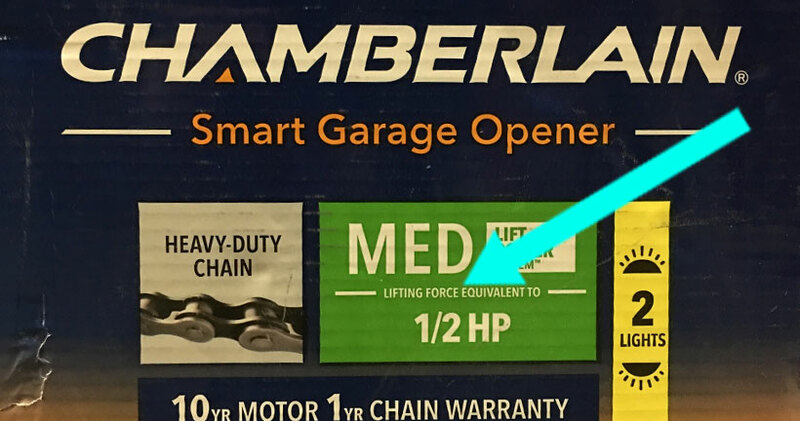 Big-box-store brands seem more than happy to use cheaper parts to save a 1/2 ounce or so in shipping weight, 5 cents per unit, and get the added benefit of claiming a higher horsepower lifting force. A smaller plastic gear can help mega-corporations meet these lofty goals! 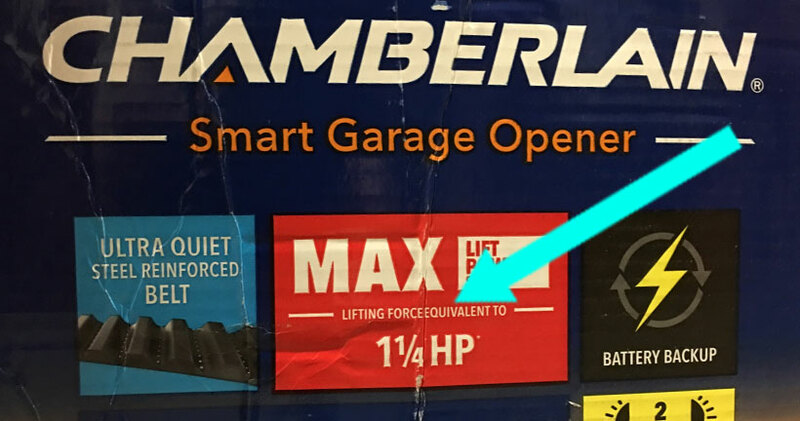 “The Brand You Trust” is Selling You a “1-1/4 HPc*” Unit. Make Sure You Follow the Asterisk!